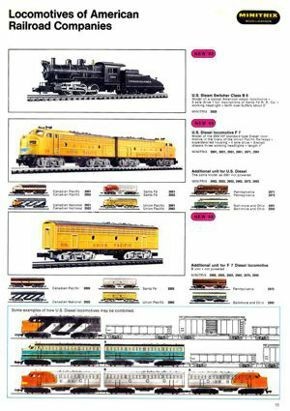 Only the relevant pages of Minitrix's 24-page 1968 English-language catalog are reproduced here (the "Little Donkey" is missing from these pages because it's a European model, and so it appears elsewhere in the catalog). 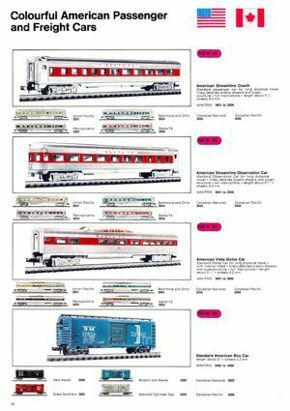 Note that all of their North American products are marked "new for 68," whereas Aurora had been selling nearly everything since 1967. 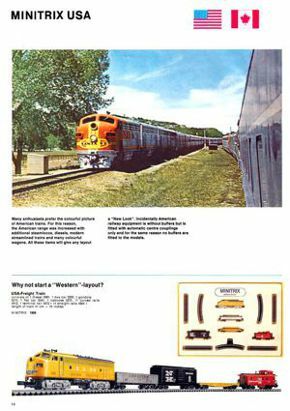 Compare Minitrix's North American product line with that of their competitor, Arnold. 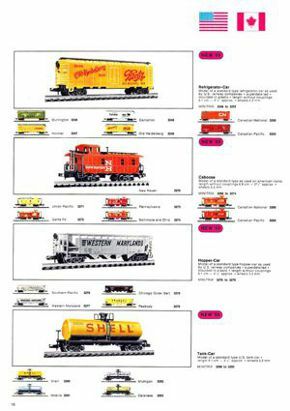 Trix released most of their freight cars (manufactured by Roco in Austria) and diesels in Canadian National and Canadian Pacific schemes, and while Aurora didn't include these in their catalogs, they did create Canadian train sets. 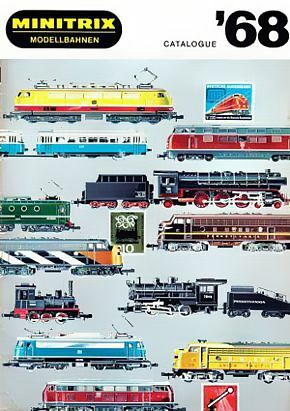 Note that Trix describes their diesels as F7s, whereas Aurora claims they're F9s (Trix was correct). Interesting detail: postage stamps on the cover. Coincidence? 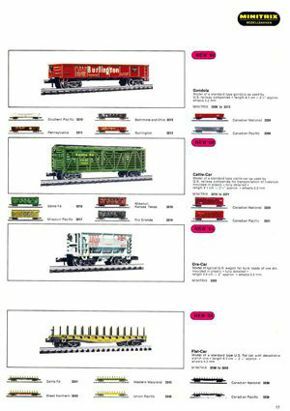 All catalog pages link to larger images.